Live MRN internet broadcasts, radio simulcasts, live streaming, press conferences, free prizes and numerous special guests all part of huge holiday weekend program!! 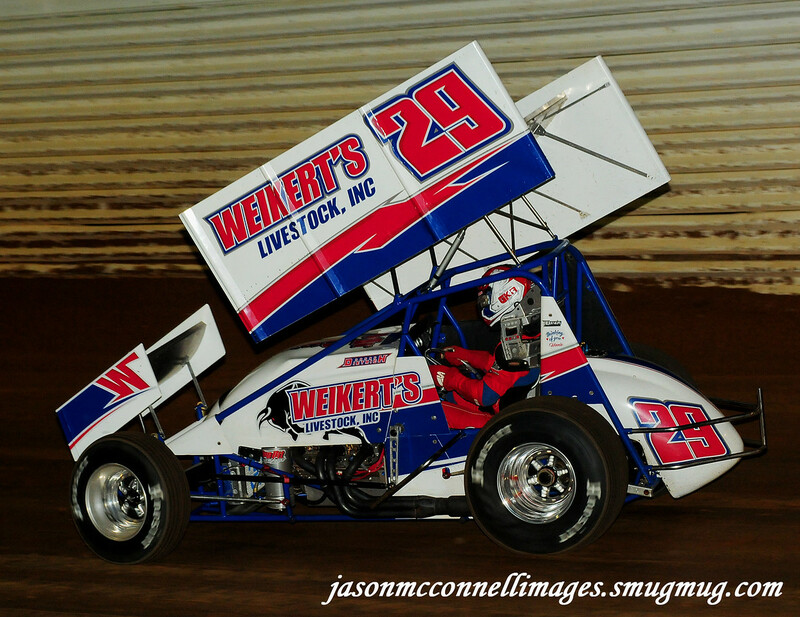 PORT ROYAL, Pa. – This weekend’s two-day Packer’s Concessions Weikert Memorial weekend at Port Royal Speedway will honor one of the sports greatest sprint car owners in the name of Bob Weikert and his famous No. 29. But Saturday’s portion of the program, The Fallen Heroes Championships for 410 sprints and super late models, will serve to honor the memory of the five drivers who gave the ultimate sacrifice at the track since motorized racing began there in 1938. The races will honor Frank Bailey, Harold Swarmer, Hal Hoose, Dennis Snyder and Randy Thompson, all men that succumbed to injuries sustained while competing at the historic oval. The two-day total purses up for grabs between the sprint and late model drivers surpasses $100,000 with Saturdays Fallen Heroes Championships paying $5,000 to win and $400 to start for the sprints and $3,000 to win and $400 to start for the late models. Both Saturday championships will go 30 laps in distance. Sunday’s Weikert Memorial finales will pay $10,000 to win and $500 to start for the sprint cars with the late models racing for $5,000 to win and $400 to start. Sunday’s sprint feature will go 30 laps with the late models going 35 laps. The Northeast Ultimate Super Late Model Series will sanction both nights of super late model action at the track. Fast time awards will be given out both nights to each division as will Hard Charger Awards with the Saturday hard chargers earning guaranteed starting spots in the Sunday Mains. Plenty Of Ways For Fans To Win Too!! Just like last year, hundreds of fan giveaways will be up for grabs both nights as Weikert’s Livestock offers plenty of freebies at the main admission gate. In addition, live broadcasts of MRNs Winged Nation will take place prior to each racing program, running from 5 – 6 pm, with hosts Steve Post and Ashley Stremme. Aside from being streamed on MRN, the Winged Nation broadcasts will be aired live both days on State College-based radio stations. Saturday’s program will be live on 106.3 FM and AM 970 while the Saturday broadcast will air on AM 1260. Also, both days of Weikert Memorial racing action will be aired and available for purchase on SpeedShift TV. Learn how to purchase the live events at speedshifttv.com. The Saturday racing program will include a fireworks display to help kickoff the summer racing season and commemorate the Memorial Day holiday. A display of Weikert racing memorabilia will be set up for fans to view at each of the two races. Post race press conferences with the top three from each division will take place each night in the commercial building followed by an after party complete with a DJ. Numerous high-profile special guests and competitors are lined up for the weekend with announcements regarding those attending to be released within the next three days. World of Outlaws competitor David Gravel and his CJB Motorsports No. 5 have already announced their plans to compete in the two-day Port Royal event. Adult general admission for the Saturday show that features the Fallen Heroes Championships is set at $25 with students ages 12-18 priced at $10. Sunday adult general admission is $30 with students again priced at $10. All gates will open at 4 pm both nights with racing action slated for 7 pm. The Sunday, May 27 program carries a raindate of Monday, May 28 at 2pm.